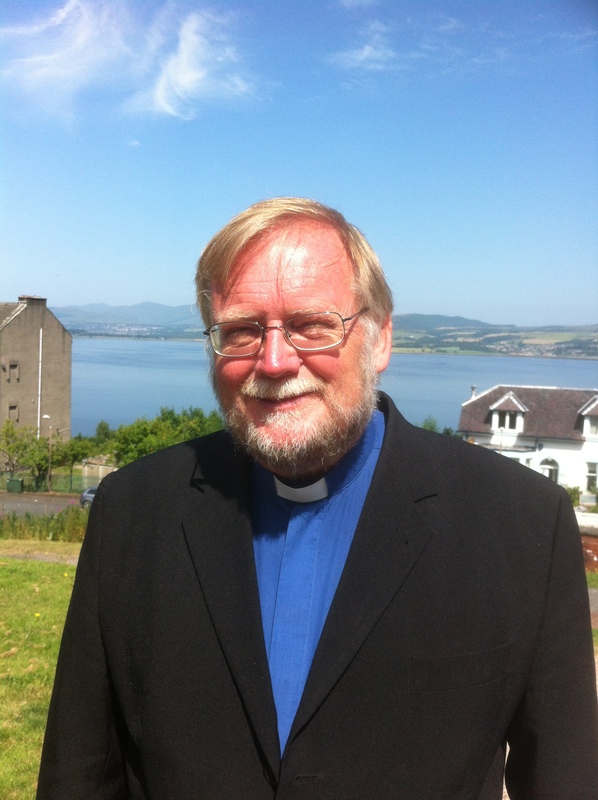 The Rev Archie Speirs BD was very warmly welcomed on Tuesday, 13 August 2013 as our new Minister in the Linkage of Inverkip with Skelmorlie and Wemyss Bay. I have been asked to say a few words about myself as your new minister, but never have more truer words been penned than ‘behind each good man there is a better woman’. Christine and I were married at Uluru (Ayer’s Rock) in Australia 11 years ago and we have 5 grandchildren from Nicole aged 15 through to Riley at 8 months. Family times with the grandchildren are important to us as we try to create special memories for them at Gran and Granpa’s, especially in their new home at Skelmorlie. Hide and seek is one favourite not just for the kids but for Christine and I as we can get lost in this new manse which is just stunning. Well what would you like to know about me? I am a Paisley Buddy but have moved around somewhat from being a GPO Telephone apprentice in King Street, Greenock to a computer engineer in Brisbane Australia. I have always felt God’s hand on my life and as a young man of 21 having a real sense of a call to full time ministry. That call was not answered until my early thirties where I returned to Scotland to fulfil Christ’s call on my life with the Church of Scotland. My first charge was in Ferguslie Park in Paisley which to say was challenging would be an understatement but I met some wonderful people there, people very much in the image of Christ. My next charge was in Kinlochleven linked with Onich and this was very much a healing time for me. It is in giving that we receive and the love and support we were given from the congregations there and the friends that we made make it a very special place to visit. My next charge was in Port Glasgow and again Port Glasgow will have a special place in our hearts as we have made friends with some ‘fantastic’ people. Christine and I are looking forward to the new friends we will make in Inverkip, Skelmorlie and Wemyss Bay and again I already know that the congregations and community are just as wonderful as the beautiful scenery of the Firth of Clyde which surrounds us. I feel very privileged to be called here as your minister and to share in the life of Christ, which is so evident in the congregations of Inverkip linked with Skelmorlie and Wemyss Bay. May the Lord richly bless you as we endeavour together to make Christ’s love and salvation known to all.